One-hundred volunteers have joined the search for a Wisconsin girl who went missing earlier this week and whose parents were shot and killed in their home. 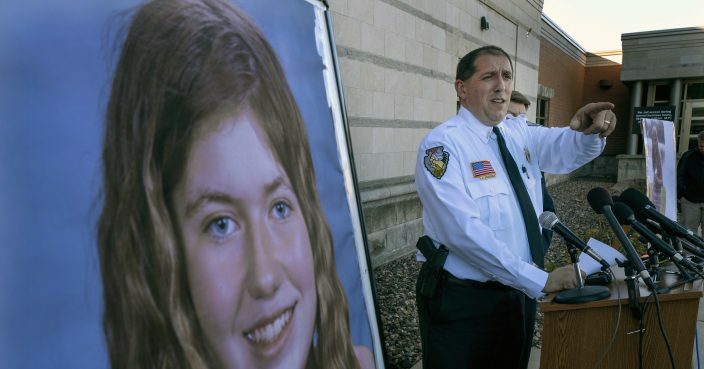 Barron County Sheriff Chris Fitzgerald requested the help of volunteers on Thursday in the hopes of finding clues as to the whereabouts of 13-year-old Jayme Closs, who isn't a suspect in her parents' deaths. He said Wednesday that investigators believe she's alive but in danger and he urged the public to continue calling in tips. Deputies responding to a 911 call early Monday found Jayme's parents, James and Denise Closs, dead in their home in Barron, a rural community about 80 miles (130 kilometers) northeast of Minneapolis.